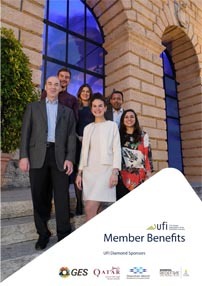 The UFI Next Generation Leadership (NGL) Grant promotes next generation leadership in the exhibition industry, rewarding professionals who show clear initiatives in driving change and innovation in their area of activity. The programme promotes UFI’s commitment to recognising and supporting the best talents within the exhibition industry and here is why you must apply! Show your value: UFI lists application requirements on their website, including a written application to present your ideas or activities that are making an innovative impact on the industry. Applications for the 2017 grant were diverse, written by grantees from business development, sustainability, entrepreneurial, and HR backgrounds. However, each submission answered key points for selection: your understanding of the exhibition industry and your reason for choosing it, the value you can bring to this industry, and the actions or ideas that make a positive impact in your area of work. Build relations: Congratulations, you were selected among the 5 winners! Now get to know your team mates because you will be working/debating/trying to present the best UFI Global Congress session with them in November 2018. Share your application with them and learn about their ideas and achievements by reading theirs as well, add them on LinkedIn, and create an NGL WhatsApp group to plan for efficient communication. Dedicate time for online meetings: For great results, invest 1.5 hours of your time per week. Use conference and skype calls with your team and with UFI well to share your thoughts with your remote team and benefit from UFI’s guidance and expertise. UFI not only provided us with advice on our presentation, but also connected us with industry professionals and helped us distribute surveys to gather the needed facts that fueled our research and supported our presentation. 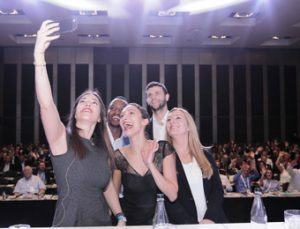 Rehearse, Rehearse, then rehearse some more: You will be presenting your session at the 85th UFI Global Congress in front of hundreds of delegates, so that’s a great effort you must make on the public speaking front. Relax, when you verbalize the presentation material and do several runs with your team, you gain the confidence that you will need on stage to let your presentation flow. You can also learn from previous grantees’ presentations by checking videos of their session featured on UFI’s YouTube channel. Network: Let’s face it, you have to network even if you are not always comfortable with it. Face to face interactions are at the core of our industry, so network as much as possible during the congress sessions, lunches, dinners, and parties. Follow UFI’s social media accounts and participate in their expo chats on twitter. This is one of the best opportunities to advance your career and gain insights on the current industry trends and challenges that other industry professionals are facing. I was lucky to meet my mentor at the UFI Congress and I hope that you will benefit too. You still have a chance to apply until the 27th of February, 2018. 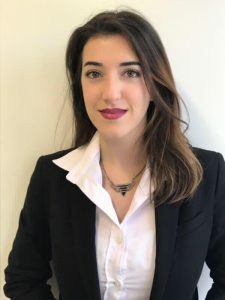 Blog by Diana Salman, Head of HR & Organization Development, IFP Expo (Lebanon), NGL Grant winner 2017.